Impressive in scale, but light on the eye; the Regent Sconce has an open structure that is sure to surprise and delight. 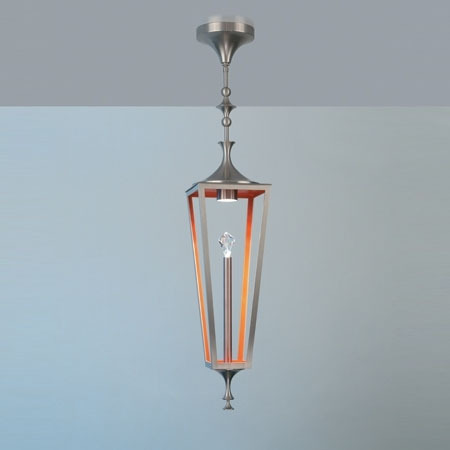 The sparkling “flame” tip is offered in rock crystal or Swarovski faceted crystal and bounces seductive light patterns on the surrounding area. Height: specify. Width: 8 3/4″. Frame height: 31 3/8″. Canopy: 7″dia x 4″h.